Hi guys , i know that you have been waiting for this episode for more then a week now , and yes i apologise for not posting it sooner , i started this segment for fun and it really awesome to have how people have actually read this segments , my first episode had about 200 views and with more than a 100 unique views and growing , thanks for the love and support, i will try to keep it interesting , and way with out futher delay here is what grinds my gears episode 5. The following is a work of fiction. it is intended to poke fun at literature i have come across,and people i have met or know. Any similarities with anything written by anyone is totally coincidental. Also I ain´t dissin nobodys city, or region,..or whatever geographic affiliation you got. i love everybody. Seriously i really don't want any of you niggas running up on me at the club. i don't have no crew and they dont pay me enough to hire bodyguards. i know how you´all niggas do.... its just jokes and some thoughts, man. 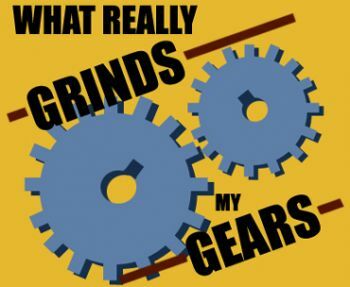 You what really grinds my gears , people who update status every hour or more, and they don't even post anything good or interesting ..., just a bunch of nonsense, "eating " , "brushing my teeth" "watching TV", ....i mean come on ! , the other day a friend of mine posted "breathing" , first of all, i don't know if he posted it just cause he knows how much it irritates me or if he really felt he needed to let us know that he IS breathing , either-way i finding the whole status thing very annoying. I usually try to write some stuff that i want my friends to know like .. "I'm going out of town"... or traveling to stockholm or sundsvall" , stuff that is relevant and i want my friend to know .. i honestly believe that when mark zuckerberg came up with the whole idea for having status posts on profile he was thinking in that way too, these day it seem like people are using them as a contest to try to write a post that will either get allot of "likes" or comments , it is just a matter of time before people will try writing disgusting comments just for attention. And that is not only sad, its pathetic!